The Jordanian population is constantly growing due to the crises in its neighboring countries, and the pressure of the refugee influx is certainly felt in the capital Amman. Rapid urbanization also creates urban growth in Jordan. 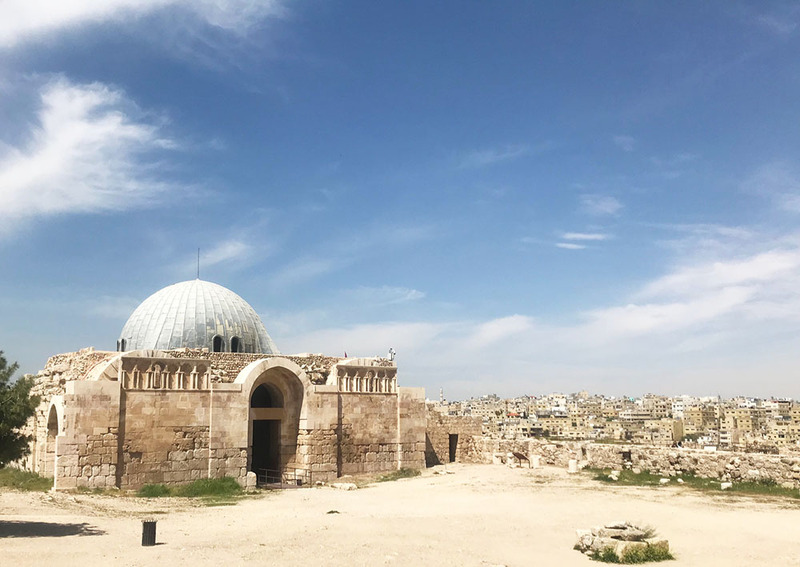 During Amman’s relatively short history as the capital of Jordan, slightly over 100 years, it has gone through unprecedented growth from 5000 inhabitants to current estimate of 4 million people. The uncontrolled growth has set several challenges for city planners. Nordic city planning might provide new ideas for sustainable solutions and tools how to manage the urban sprawl. Cities are a complex mixture of spatial development and people with diverse social, economic and cultural backgrounds. City planning has the challenging task of balancing between these factors and institutional frameworks, laws, resources, the environment and social inﬂuences. At present, one of the major obstacles facing the public sector and planning in many developing countries is its ability to improve quality of life, provide services, and raise living standards under severe challenges of rapid urban growth. The Embassy of Sweden organized a seminar and a workshop in Jordan on sustainable city solutions to urban development challenges through knowledge exchange between Nordic and Jordanian urban planners 16-17 January. Even though Jordan suffers from an acute lack of natural resources, particularly water and energy, it has successfully accommodated several waves of refugees from Palestine, Iraq and Syria. In 1921, Amman became the capital of the new state of Transjordan with about 5,000 inhabitants. The growth spur started at the same time, quadrupling in the next decade. During 1961-1979 the city grew from 215,000 inhabitants to 777,800 due to population growth, the second Palestinian refugee migration, and the Civil War in Lebanon, with the city extending over an area of 101 km2. This type of growth affected the urban structure of Amman. During the fastest growth spur the urban centers in Jordan grew at a rate of 4.1%, higher than in Asia’s largest cities, which grew at 3% per annum in the same period. This type of growth does not occur without side-effects, such as informal settlements, overcrowding, degradation of agricultural land, low quality urban services, traffic congestion and lack of green space. Amman has been the target of many city planning efforts. The Amman 2025 master plan was crafted between 2006 and 2008 and was aimed to be an ever-evolving document and multi-purpose tool that would do more than guide the physical development of the city. Unfortunately, the plan did not live up to its goals for various reasons, one of them being that planners did not gain control of some of the significant development projects in the city. The implementation has always been the stumbling block for strategic planning of Amman. Now, a new national urban policy is underway for Jordan as well as a National Green Growth Plan, which will focus on environmental issues such as severe water shortages, critical water systems degradation, limited energy access and security and waste management. At the same time, Amman is developing a Green City Action Plan that should include current plans on resilience and climate action. Time will tell if implementation and strategic planning are more closely connected now. Despite the lack of policies for urban design and institutional challenges in the ﬁelds of human, ﬁnancial and technological resources, many positive transformations have taken place in the management through actions to achieve relatively sustainable development of Amman. These days the city planners are more aware of the sustainability issues. -We know what to do, the problem is to get all our different departments to work together in a concerted and cross-sectoral way to implement our plans and put them into action, as Nisreen AlAraj, Chief Resilience Officer of Greater Amman Municipality puts it. Another substantial challenge for Amman is to encourage the citizens to change behavior and reduce their negative impact on the environment. Currently everyone who can afford a car uses it as primary mode of transportation, there is virtually no recycling, houses are heated by diesel boilers, electricity is 90% fossil-based and water is not circulated or reused efficiently. A recent attempt with lower sales tax on hybrid cars proved to be an effective green incentive, and could be used as precedent. Solar panels for electricity is another low-hanging fruit. The Nordic countries have also been facing the challenge of rapidly growing cities but have managed to control the growth in a sustainable way. In Nordic countries, planning and building legislation provides opportunities for the public to express their views on ongoing plans. Participatory planning practices are believed to contribute to more democratic societies. There is also a long tradition of environmental awareness and protection. By integrating mitigation and adaptation policy, Nordic cities aim to strengthen their resilience to climate change events. Also, green and blue spaces are viewed as essential for improving the health, living conditions and quality of life for Nordic citizens living in urban areas. The challenge is to create a city that is both dense and green: the compact green city. It seems that Nordic cities have found a sound balance between the compact and the dispersed, which is why forest and water are key ingredients, even in our largest Nordic cities. Urban containment, managed through a distinct boundary between urban and rural land use, is a common strategy for urban growth management and for achieving sustainable development that is focused on efficient land use and the preservation of rural functions, such as ecosystem services. – Some Nordic solutions inspire planners in Jordan, like the design of public spaces that temporarily hold rainwater during peaks of rainfall minimizing the risk of flooding. Also, how the Nordic Region has engaged people in dialogues to deliberate about the future, says Nordregio’s Senior Research Fellow Luciane Aguiar Borges after the first seminar day in Amman. The knowledge exchange seminar is based on the White Paper on Nordic City Solutions, which is one of the outcomes of Nordic Sustainable Cities.